You’ll have to excuse any grumpiness in Westminster this morning, after what turned out to be a long Tuesday for most MPs. 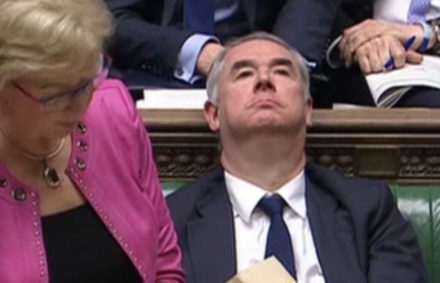 Theresa May supporters and Cabinet ministers in particular might may be found grumbling around the corridors as they got defeated in the Commons not once, not twice, but three times yesterday. Following strenuous debate, the government was found to be in contempt of parliament and ordered to publish the legal advice on Brexit in full. Shadow Brexit secretary Keir Starmer called the event “unprecedented”. The document is set to be published today. But the PM’s troubles did not end there, as the government failed to block a cross-party amendment tabled by one of her own, the Conservative MP for Beaconsfield, Dominic Grieve. Passed with the help of 26 Tory MPs, parliament will now have the power to vote on a plan B for Brexit when May’s deal is voted down. Labour has once again confirmed it will not support it. Today’s PMQs will certainly make for some interesting viewing.